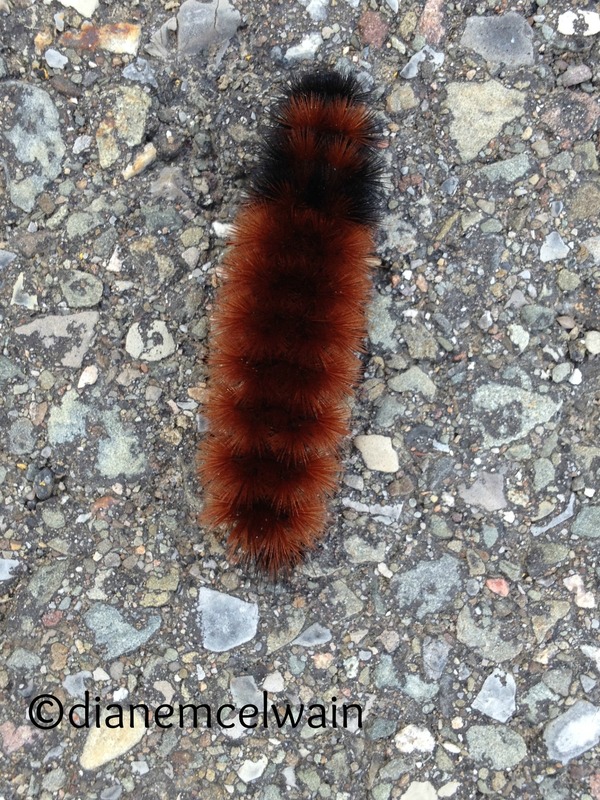 Who cares about the wooly bears and winter predictions? It reminds us of Phil, the woodchuck and his predictions of early spring. 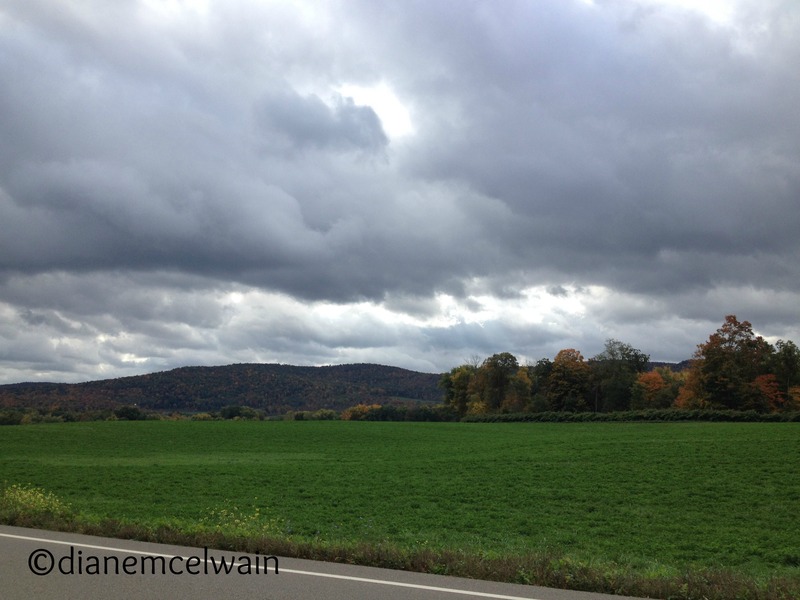 This time of year Woolies come out by the side of the road, and I inspect the width of the reddish-brown color. Farmer’s Almanac tells of Dr. C.H. Curran who, in 1948, took his wife to Bear Mountain to collect as many wooly bear caterpillars as he could find, to predict the length of winter. He continued this experiment over the next eight years. I know this because I couldn’t remember what the old tale was. Was it the longer the brown, the longer the winter? On the contrary, the longer the brown band, the milder the winter. Which is the opposite of all the predictions being passed around for the last six months! I had to stop and take a photo of this one; clearly he is covered in reddish-brown! 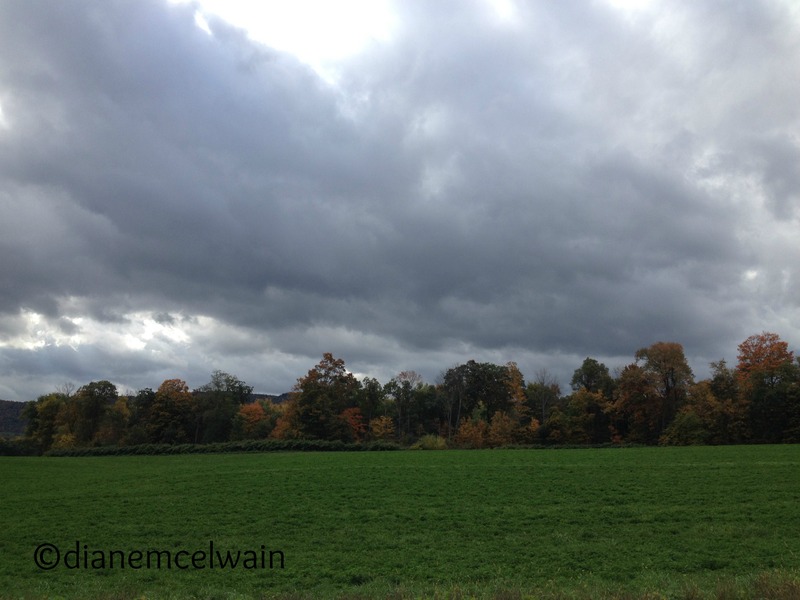 The skies are slate gray and white, and on occasion the sun peeks through in bright contrast. The wind rustles the corn and the dry leaves shake. Fresh cut corn races by me in huge trucks headed to the farm, and as it passes, corn flies out and decorates the side of the road. After a few days of this, the end of my driveway will be littered with corn sprinkles. I watch birds form a murmuration and swing back and forth in perfect harmony without a word. How do they do that? Do they have some kind of winged command? And why do they do it? Are they giving each other a pep talk about the long flight ahead? I want to know these things; I want answers, but sometimes it’s really about the wonder of it all. The wind is blowing cold, but not so cold that I wear a sweatshirt as I walk hard. I love this time of year, but I am also restless. I am restless to throw off the fading daylight and along with it, my gloom setting in. The daylight is shrinking, there is no more garden to tend, and I feel like I’m sinking. I want to stay in bed longer and wish I were planning a winter in Arizona. I don’t want to dread, to sigh, to regret winter before it is here. I need to flourish in the present…and in winter. Though the leaves color, curl and fall, I will flourish. Ah! Suddenly a verse comes to mind and I mentally tag it for when I get home. 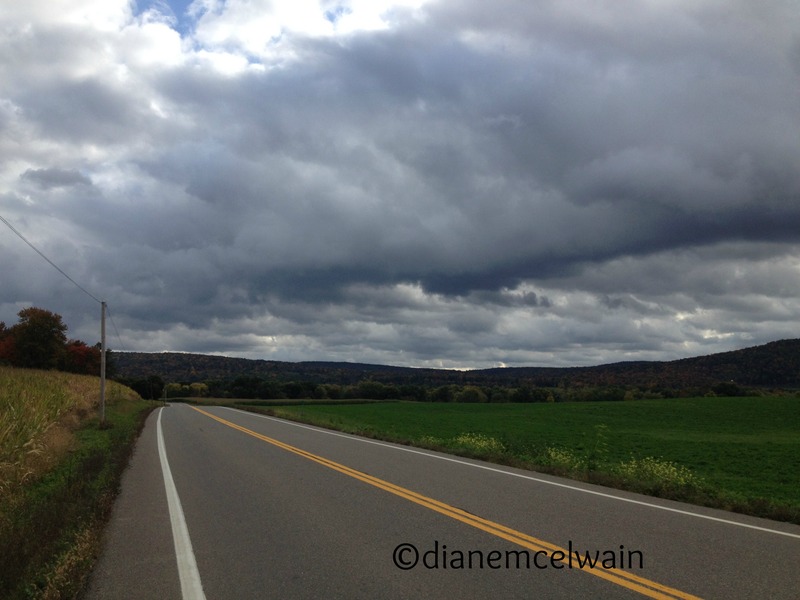 Diane, I always look forward to your blog posts! I learned something that I didn’t know- about the wooly bears. I have also heard that it will be another hard winter! It IS hard not to dread the upcoming winter, isn’t it?! God is SO good to be with us always through each and every day regardless of what season it is. Thanks for sharing! I will need to look up a new word too- murmuration. And winter is a hard time for inspiration, at least some of the time. Thanks for reading!